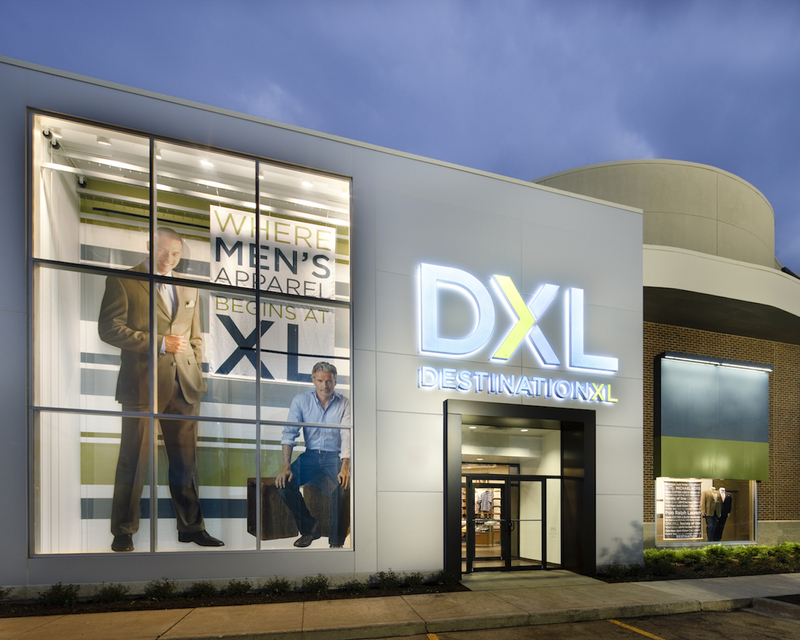 As the country’s leading brand focused on the XL customer, the DXL superstore format is a unique concept offering a wide range of clothing, shoes and products under one roof. It features a collection of the good, better and best products merchandised by lifestyle with a focus on servicing the “end of the rack” department store shopper. The store features private brands within the format, as well as exclusive representation of designer brands such as Polo Ralph Lauren®, Calvin Klein®, Tommy Bahama®, Cole Haan®, and others. As a full lifestyle format of casual, weekend, athletic, dress, and dress casual clothing, shoes and furnishings, DXL provides a full lifestyle portfolio of brand, life stage, lifestyle fashion and basic apparel choices. This breadth of assortment, consumer segmentation, and price points provide a full flavored opportunity to create a portfolio of experiences that help the customer understand this diversity, as well as this clear segmentation of product and use.